Sybia has a large selection of dubbings to pick from. All are high quality dubbings that come in vast color selections. 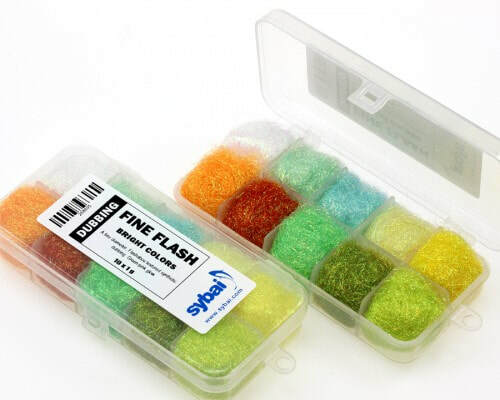 take a look at all of these fantastic dubbings to see what best fits your tying styles. 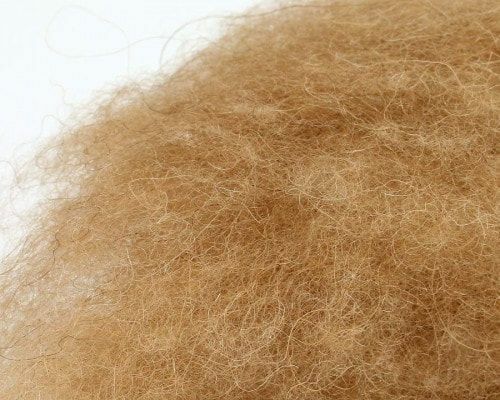 This is 100% Camel hair dubbing. This is a finer dubbing perfect for dry flies and nymphs. 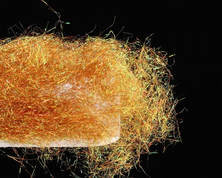 It also has a nice kink to the hair, and makes a very strong dubbing. Fine Alpaca Dubbing is a long fiber dubbing. 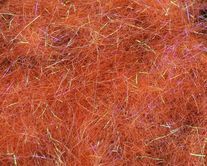 Alpaca hair make both amazing dry flies and streamers. with its fine hair you can add CDC floatant to help it stay up, due to much of the hair being hollow. 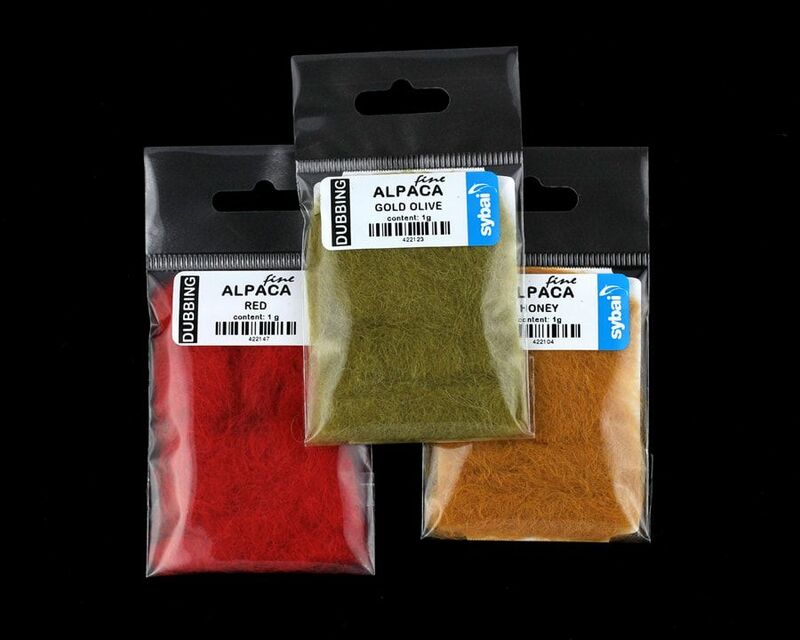 It is also a great replacement for hares ear dubbing. 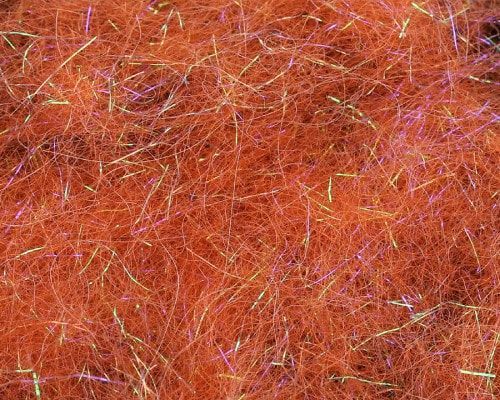 This is Fine Alpaca Dubbing mixed with UV fibers, giving your fly an extra element that regular dubbing does not have. 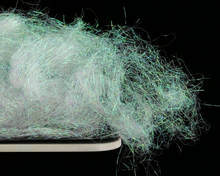 Diamond Dubbing is fine flashabou-like dubbing that mixes well with anything. 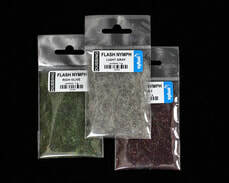 Build your own dubbing blends, and add in a this fin flash for added effect. Diamond Dubbing emits a copper glow of color in all of the colors provided. Fine Flash Dubbing is much like Diamond dubbing, except that for the flash effect it emits a green-pink glow of color. 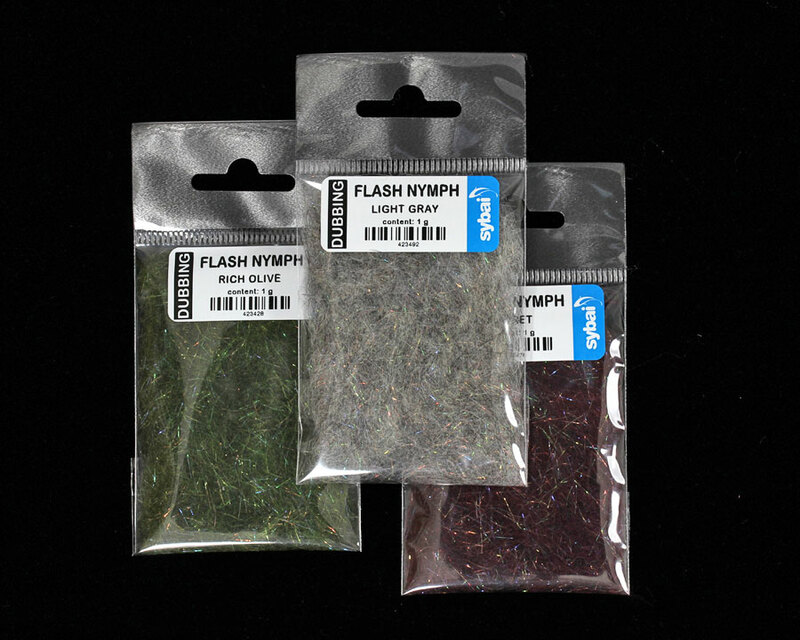 Flash Nymph Dubbing is a blend of natural dubbings, guard hairs, and ​a fine flash. Making a great dubbing for nymphs and Matuka style streamers. These are the dubbing box dispensers for every dubbing. 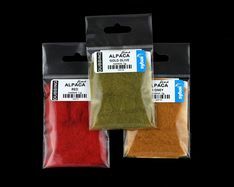 Get a variety of color in your dubbing selections.